Happy new year, MSX fans around the globe! A very special year awaits us all, as this year our beloved MSX computer will celebrate its 30th anniversary. One can expect that many MSX fans will celebrate this milestone in style and it of course MSX Resource Center will also contribute to the festivities. Although a date and location have to be set, we plan to organize a 30th anniversary MSX event in the Netherlands this year. We hope to be able to reveal more information about this event in the near future. But this is not the time to look forward, traditionally we have a look at the year that passed. In 2012 the MSX community was bursting with enthusiasm and activity. A quick grab out of our new spotlight says it all. The interesting MSX-ARM upgrade kit was revealed, and the standalone MSX compatible Orbit computer was shown to the world as well. MSXdev'11 closed with 9 entries and MSXdev'12 closed with 3. Our own Tenliner Challenge was a big hit with no less than 19 entries. MSX emulator openMSX received two large updates this year, with version 0.9.1 being the most recent one at the time of writing. Legendary MSX-AUDIO/MSX-MUSIC tracker Moonblaster was declared freeware, Metal Gear celebrated its 25th anniversary. 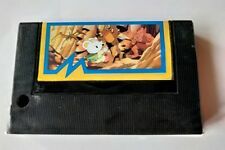 Even sad news had a silver lining, as Kralizec's goodbye to the MSX platform concided with publishing all Kralizec games in the MRC downloads corner. The software of M-Kai was made available for download as well. Iconic MSX user Martos preserved a huge archive of ASCII MSX Magazines. And then there was music, lots of music, like the full Metal Gear 2 soundtrack rearrangement by J-War, or Jorito's Musical Journey. Wolf released an 11 minute and 25 seconds remake of music from the relatively unknown game Jikuu no Hanayome - The Bride of Space Time, Crisis Alma released an epic MSX metal album and yes, there was even more music from J-War. With WYZtracker, TriloTracker, VeejingSX and GrooveSX there were plenty of new releases for creative musicians as well. Our own website evolved gradually with its Koala and Lyre Bird updates. We already have quite a few plans brewing for this year, so all the more reasons to keep a close eye on our website frequently. As usual, the values between brackets are the scores of last year. And that leaves us with a list of the 10 most active MRC members of the year. The entire MSX Resource Center crew would like to wish all of you an amazing year. Lets make it even better than the last one! 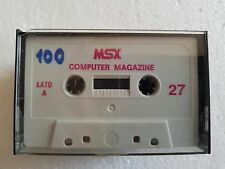 MSX Forever! 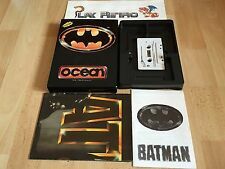 Regardless of quality, imho pretty impressive amount from competitions alone. Not too shabby for a 30 year old computersystem! Exactly, for a system that old it's impressive! Happy New Year a lot at all !! Probably I'm the 699th user and it was my pleasure to contribute to the MSX scene with one game available online and two new games in cartridge ho-ho-ho so Happy New Year! Happy New Year to all MSX-ers all over the world! Hello MSX Users, a Happy New Year to everyone !